Embryo adoption is a compassionate alternative to destroying embryos. In the world of fertility treatments, would-be parents are surrounded with a variety of ethical dilemmas, one of which is whether or not to donate the unused embryos for adoption. There are many pros and cons to donating a couple's unused embryos for adoption. Although the idea is moderately new, there are still organizations and resources to help parents navigate through this morally complicated decision. In some fertility treatments, such as IVF, embryos are created and then implanted into the mother's uterus. In those cases, it is common practice to cultivate several viable embryos and then to also implant several viable embryos. However, there are often unused embryos that are viable. Both biologically, and legally, the mother and father are also parents to those unused embryos and they must decide what they want to have done with them. Since many couples work so hard to create life, simply disposing of the embryos doesn't seem like an option. 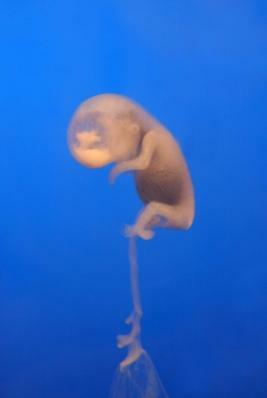 How Is the Human Embryo Related to Stem Cells? For many parents who believe that life begins at conception, fertility presents a variety of interesting and ethical dilemmas. One of the most obvious pros for donating embryos is that it provides a means for couples to cease responsibility for the embryos without having to destroy the potential new life. Donor families can donate at no cost to them. Donation is legal--it is governed by contract law in the United States at this time. Donor families can choose both open and closed adoption scenarios. Recipient families are generally screened much in the same way that they would be screened if they were adopting a baby--because in essence they are. Like all medical procedures, there are some things to consider before you choose to relinquish your parental rights to your embryos. Some couples really struggle with the idea that what would otherwise be their child is being adopted by someone else. Imagine a couple who has struggled a long time to have a child then choose to relinquish parental rights to some of their other children. The rate of embryos surviving the freezing/thawing process and then successfully being implanted to result in a viable pregnancy is about 31%. Considering the likelihood that an embryo will not survive, many couples consider it more responsible to donate the embryo to medical research where it will definitely be used--but it will also definitely be destroyed. Making the right choice can be difficult. Once you relinquish your rights to your embryo, you cannot go back. This means that should you change your mind in the future, you will not be able to use those embryos any longer. Just like couples choosing to be sterilized, this is a permanent decision and the donating couple should be sure that they are finished having children. Therefore, most couples will wait until their fertility has resulted in at least one live birth. Whether you're seeking to donate your embryos or seeking to adopt frozen embryos, there are a variety of resources available to you. Adoptions from the Heart has over two decades worth of experience in the adoption industry. They not only do embryo adoptions but also international, domestic, open and closed adoptions. In other words, they are real experts and whether or not you are the donating couple or a couple hoping to adopt embryos, they can help you every step of the way. Embryo Adoption.org is a non-profit organization that is a mecca of information for all aspects of embryo adoption. This is an invaluable source of information for any parents who are struggling with infertility. The National Embryo Donation Center is a pro-life, not-for-profit organization that promotes embryo adoption by education and research. Like EmbryoAdoption.org, they have a wealth of information and, although they do not facilitate the actual adoptions, they have a wealth of information available.